Five floors. Six terrorists. Twenty-six hostages. It is 1980. Terrorists have seized the Iranian Embassy in Kensington. Their demands are impossible to meet, and the clock is ticking. Soon, hostages will start to die. But Captain Mahoney and the SAS teams waiting outside have an ace card. An agent of British Army Intelligence is in the terrorist cell. Can their man get the information they need out, or will the embassy be destroyed? And will he survive if they raid the building? THE SIEGE is available from Amazon. Charlie Flowers was born in Eastern Europe sometime in the late Sixties and arrived with his family in Britain in 1975. After training as a journalist in London he had a varied career as reporter, roadie, truck driver and record label boss. In the late Nineties he formed two cult bands, and is currently an adviser on terrorism and extremism to certain departments and think tanks. 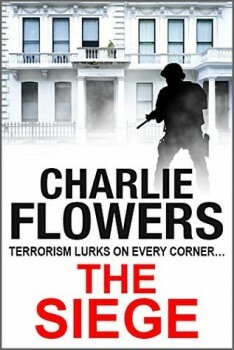 Charlie Flowers is published by Endeavour Press, and is a member of the Crime Writers’ Association and International Thriller Writers, Inc.